Well, to be honest, I’m still excited about my purchases from the Frolic. So is Desmond, it would seem. 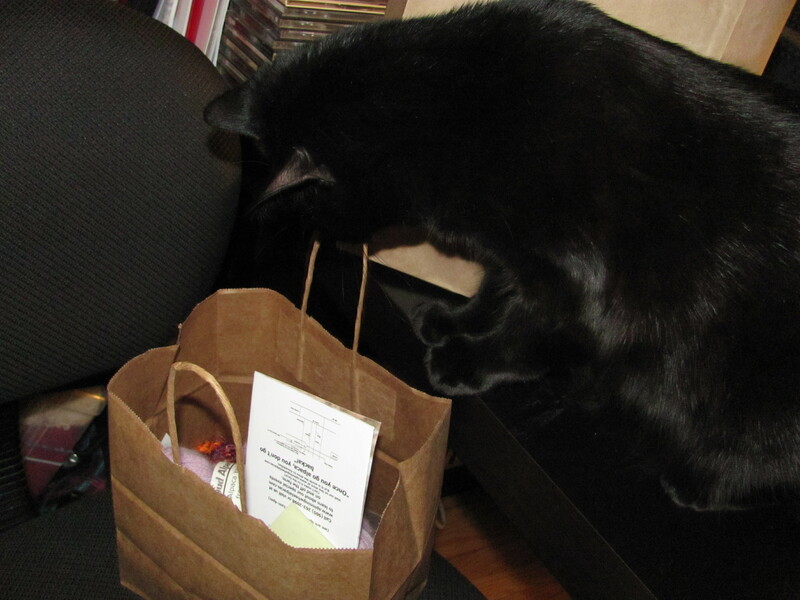 I managed to get this photo but couldn’t get one of the best part, when he was actually full on burying his head in the bags of yarn. Man I love this cat. Nevertheless, on to this week’s even larger levels of excitement! 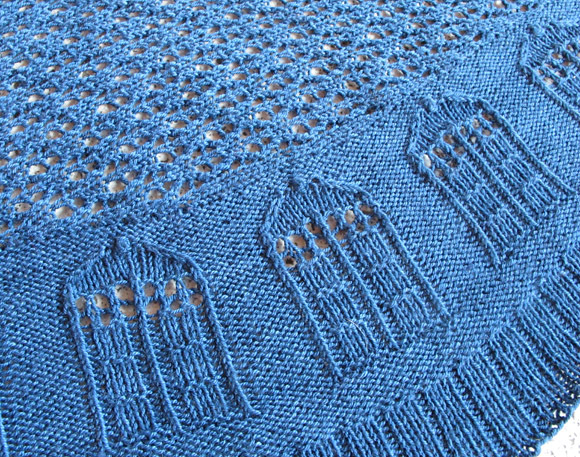 1) Appropriately called Bigger on the inside, I cannot wait to start Kate Atherley’s TARDIS shawl from the latest issue of Knitty. Anyone who knows me knows of my love affair with Dr Who. 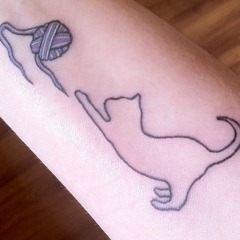 So excited I went right out and got yarn for it. 2) I’m on the planning committee for WWKIP Toronto Edition, and am happy to report that things are really getting going. Look at the shiny new blog masthead! 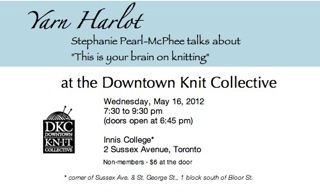 We also have a Ravelry group, a Facebook event page, and I’m even attempting to get the Twitter hashtag #WWKIPTO going. Wish me luck. 3) I have just discovered the West End Scarf. Drooool. Yet another one to add to my ridiculously long queue. 4) Look who’s coming to the Downtown Knit Collective next week! This entry was tagged Desmond, downtown knit collective, geeky patterns, Knitter's frolic, nerdom, patterns, Toronto, wise hilda, WWKIP, yarn harlot. Bookmark the permalink.